Those four words, written in the subject line of a late-night email sent at the end of 2014, unlocked a nine-month journey that taught me about the power of collaboration, intuition and authenticity. Filled with bursts of creativity as well as tough challenges, this incredible experience yields results that come to life today in the form of a beautiful product I’m proud to introduce. 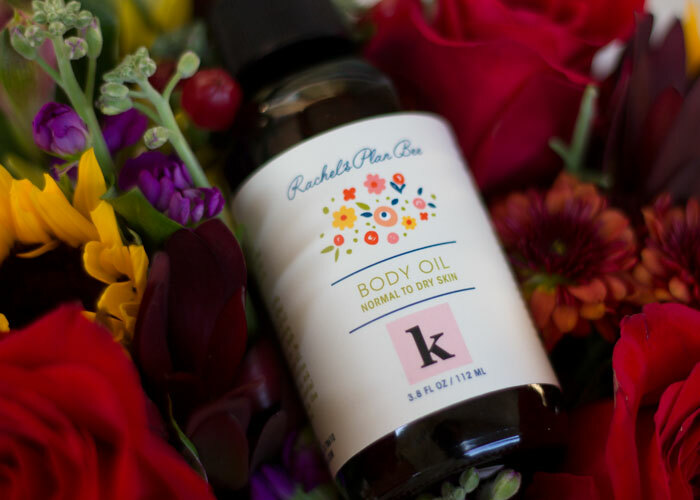 Meet kimberlyloc x Rachel’s Plan Bee Limited Edition Body Oil, a jasmine body oil featuring certified organic ingredients — a first for the Rachel’s Plan Bee brand. 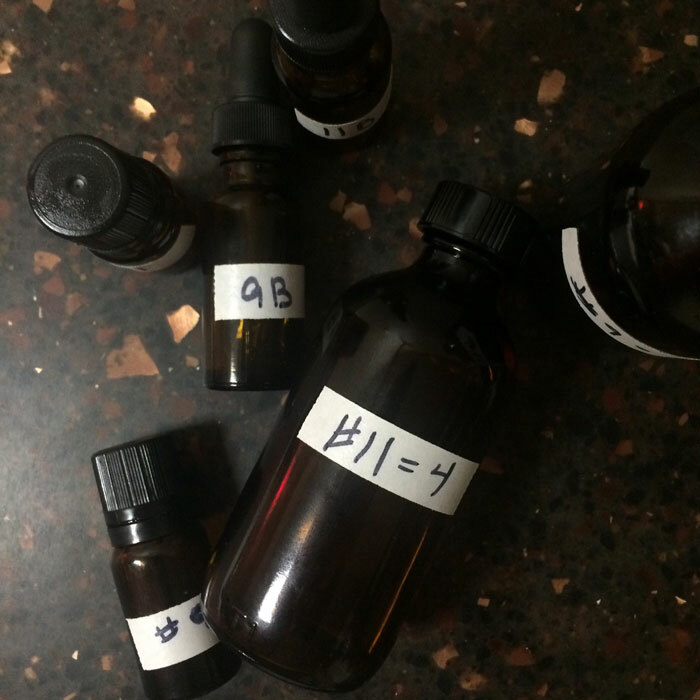 As Rachel began the blending process, based on the scents and mood I told her I wanted this special oil to contain and convey, she would label her test blends with random numbers and letters to keep the formulations organized before shipping to me to perform blind sniff tests at home. To give a little context to the “NOT too happy!” comment in the notes above, loads of bright citrus feels too cheerful and summery to me; I tend to only wear scents like that during the warm months of the year. That, to me, meant an oil with a scent that could be taken from day to night, season after season, and inspire a confidence and happiness only signature scents can do. This truly is an oil I can wear every day and take with me during travel, when I absolutely must edit my beauty product stash. By no means does any one person “own” a particular scent. But we all know what we are attracted to in the smell-good things we bring into our homes and put on our bodies. For me, it’s always been jasmine. And I know that rings true for a lot of you, too! But in addition to jasmine, I knew, based on the conventional perfumes I used to wear, what scents I truly loved. Think florals, woods and spice, with jasmine as the star. I wanted this family of scents in a long-lasting, moisturizing body oil that could be the base layer of my fragrance wardrobe. (Again, refer to the #12DaysOfJasmine posts to see how I like to build scents). For Rachel, her tightly edited collection is anchored in vanilla and citrus. As anyone who’s tried her facial oil or body oil knows, it’s for die-hard vanilla fans. 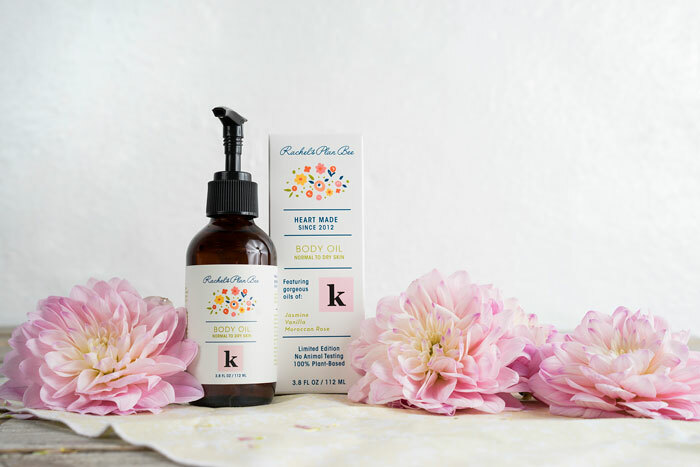 So, it was easy to name jasmine and vanilla as the must-haves in the kimberlyloc x Rachel’s Plan Bee Limited Edition Body Oil, and we knew we would need delicious sweet orange oil (no, it is not phototoxic) to help cut through a bit of the sweetness. That left room to play with additional scents to capture the essence of sweet, playful girl next door. We experimented with rose, geranium, cedar, lavender and ylang ylang, to name a few. There were definite “No ways” from our experimentation (cardamom! ), and a few close seconds in our search for the signature scent. Ultimately, Moroccan rose — the queen of flowers — found its home with jasmine, the king of flowers, in what’s now our special, limited edition jasmine body oil blend. As a blogger, I’ve had the privilege of sampling Rachel’s line and offering honest, constructive feedback about her products. In my last product review of her original body oil, I commended her business acumen — adding product categories based on customer feedback and updating her design to match the true spirit of the brand — and raised the question of introducing certified organic ingredients when the timing was right. And that timing is now. With our kimberlyloc x Rachel’s Plan Bee Limited Edition Jasmine Body Oil, the brand steps into the world of sourcing certified organic ingredients. And this is just the beginning. Original Body Oil Ingredients: Apricot kernel oil, sunflower seed oil, meadowfoam seed oil, grapeseed oil, tocopherol oil, safflower oil, cranberry seed oil, vanilla planifolia, orange peel oil. Besides the obvious scent and certified organic and non-GMO ingredients differences, the limited edition body oil omits cranberry seed oil. This particular carrier oil affected the floral scents in our blend. The limited edition body oil also has a dash of caprylic capric triglycerides, a derivative of coconut oil, that served as a carrier for the rose absolute. Getting to today, the birthday of this special oil, has deepened my respect for what every single one of you makers out there works through on a daily basis. The sheer joy. The setbacks. The imperfections. The final product that awaits. While I recognize that not everyone’s nose will agree with what Rachel and I have created (scent is so personal! ), I do hope that those of you who choose to try this oil will feel more connected now that you know about the inspiration and process behind kimberlyloc x Rachel’s Plan Bee Limited Edition Jasmine Body Oil. I’m looking forward to hearing your feedback about this special collaboration. If you’ve had a chance to try it, please do leave a comment and tell me what you think of the scent, texture — everything! It’s been amazing to share this with you.